Brand USA: Can We Change the Image of the World’s Most Visible Country? Every year popular news media ranks the most valuable brands among corporations. Apple, Google, Coca-cola, and Disney usually rank in the top ten of iconic brands that elicit strong feelings (positive or negative) in the general public. Branding activities are intentional efforts to develop these emotional connections by a firm and can range from a commercial during the Super Bowl to the secret formula of a sugary beverage. In essence these activities are designed to generate emotional, cognitive shortcuts to accelerate a purchasing decision. Branding requires a significant amount of time, effort, and resources, but is often rewarded with loyal, repeat customers. Governments, in a seemingly ubiquitous quest to become more businesslike, also engage in branding activities. Similar to branding in private firms, public branding is designed to create an emotional connection among a variety of stakeholders and generate positive returns to the government or public organization. 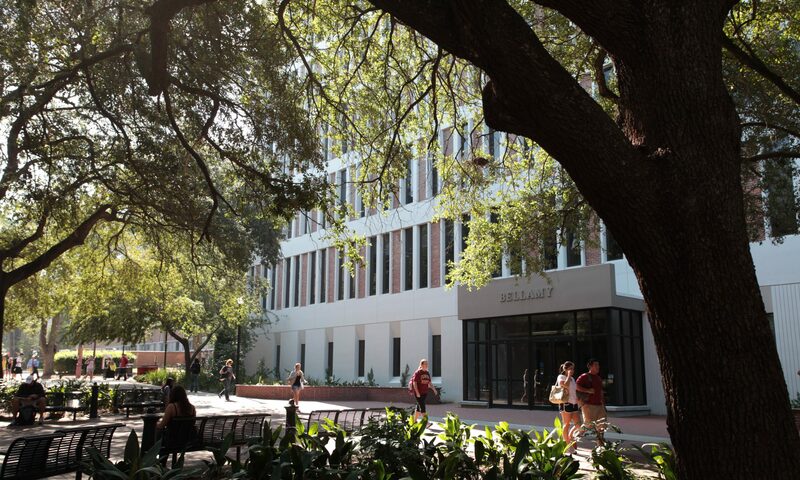 At the organizational level, Florida State University brands itself as a preeminent research university in an effort to improve the institution’s ranking and fundraising ability. The university is currently outsourcing a rebranding campaign to Birdsall, Voss & Associates in an effort to stay competitive in the national marketplace for universities. At the state level, Florida dedicates significant resources to brand the state as an attractive place for commerce, and revises the brand regularly to stay relevant. The Federal government is also active in branding since the events of September 11, 2001 dramatically reduced international travel to the U.S. The Travel Promotion Act of 2009 created a public-private partnership to guide the nation’s brand internationally in increase tourism. Brand USA targets international travelers through online and traditional media campaigns to encourage people across the world to visit the country for pleasure. These efforts are not cheap. Brand USA had a total operating cost of over $150 million last year. This significant investment from the American tax base begs the question: is Brand USA accomplishing its goals? Brand USA, as a branding agency, reports success at every turn. Of course the agency itself has a vested interest to appear successful so that policymakers will continue to provide resources for its operation. Careful evaluation of the data, however, suggests that the success of Brand USA may be overstated or even nonexistent. The ineffectiveness of Brand USA is not altogether surprising. America has a longstanding, visible and established international brand. Importantly the American brand invokes both positive and negative feelings internationally. The American brand involves individualism, liberty, freedom and choice, but studies have also shown that international students view Americans as domineering, controlling, fat, and materialistic. Our “brand”, or perceptions in the minds of international stakeholders, is influenced not only by our citizens, but also by politicians, history, natural resources, food, culture, etc. Corporations must actively develop a brand identity, but nations have brand identities whether the nation actively engages in branding activities or not. Despite evidence that Brand USA may not change the emotional connection international travelers have with the United States, the agency will most likely continue operations. Recently a spokesperson for the agency underscored the necessity of the branding campaign in light of the Supreme Court ruling upholding Trump’s travel ban. State and local governments and other public organizations such as colleges and universities also spend significant resources branding without proof the efforts help the organizations achieve their goals. This is not to suggest that branding does not work in the public sector, but branding is much more challenging for public entities. Private corporations are generally focused on a single goal: maximizing profits. Every branding decision can therefore focus on achieving that goal. The United States has countless, often conflicting goals. International conflicts, such as the wars in Afghanistan, Iraq, or the War on Terror aim to accomplish military goals of the country, but may serve as negative brand images thereby undercutting the goal of increased tourism. Public branding campaigns do not operate in a vacuum. Recent events demonstrate that branding campaigns may be used to mitigate negative brand images from government policies, but governing will always influence the brand for better or worse. In addition to the brand complications generated by the act of governing one must ask: how can branding efforts change the international perception of a 242 year old country of 325 million people spanning 3.8 million miles, which is generally seen as an international superpower? This should prove far more difficult than measuring the revenue returns after the introduction of a new sleek iPhone X. Despite the limitations of Brand USA as a policy and public/private partnership the American brand endures. A strong brand elicits strong feelings. Given its visibility and superpower status, I would argue that the United States, not Apple, is the world’s most valuable brand. The future value of the brand rests in the behavior of citizens, policymakers and how these behaviors are perceived by the rest of the world. A quasi-governmental organization pushing social media blasts to potential international visitors can do little to change these perceptions. Daniel L. Fay is an assistant professor in the Askew School of Public Administration and Policy. The featured image is from BrandUSA.com.